Richard has worked with S A Partners internationally for over 12 years and is a formally certified Master Lean Coach through the Cardiff University Lean Competency system and a certified Shingo Facilitator. With over 20 years working in Global Multinationals, he has extensive Senior leadership experience across areas as diverse as Operational Leadership, Directorial roles in Logistics and Supply Chain, coupled with regional leadership in Strategy/Change Management and Lean Leadership. Regarded as a great motivator, coupled with his ability to engage at all levels in organisations, his enthusiasm and experience are a great asset to any program of work. 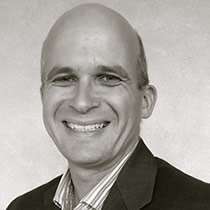 With significant experience in Product and Service business capability and strategic investment, his ability to deliver improvement and sustainable change have been successfully demonstrated across a range of projects, more recently in Maufacturing with Pandrol Australia, Skretting Australia and several other service sector clients.